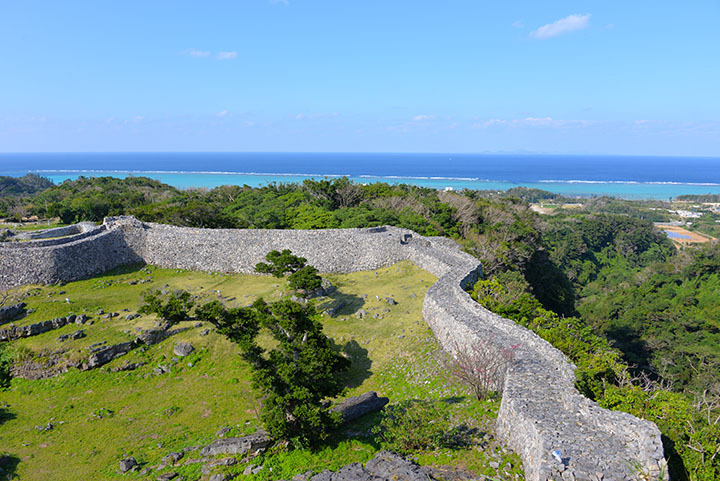 Udunyama is located up on the hill in the Shuri district of Naha City. 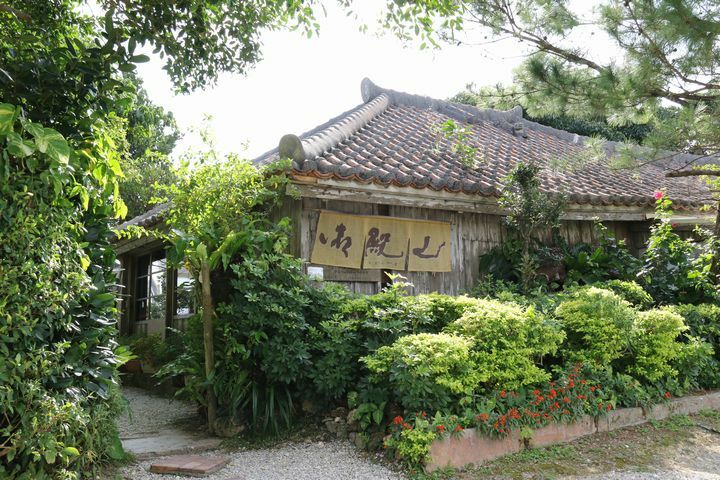 You can enjoy Okinawa soba in an over 150-year-old house that is surrounded with beautiful greenery. 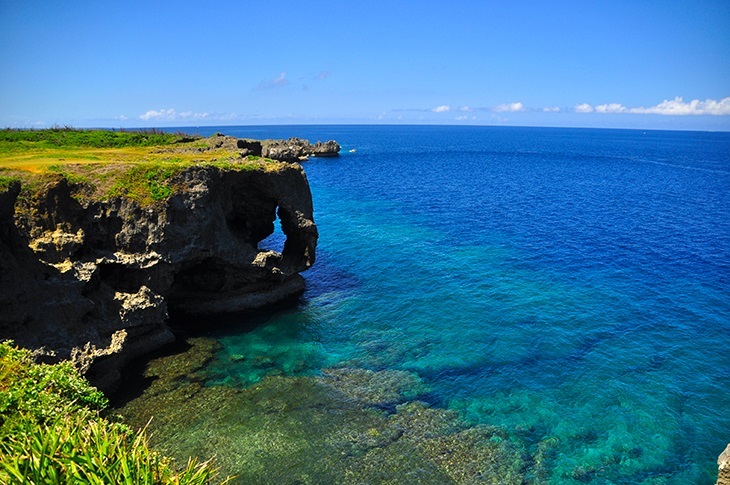 I feel relaxed whenever I visit this place. 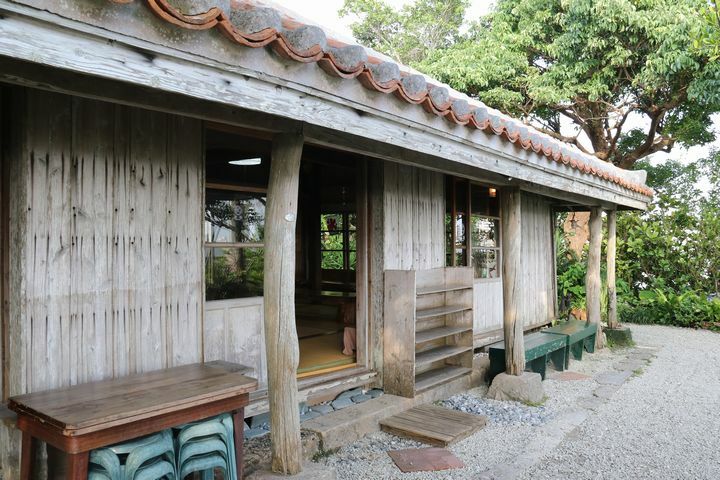 You may know this already, but there is no front entrance in old Okinawan style homes with red roof tile roofs. So, I stepped in from the side entrance. 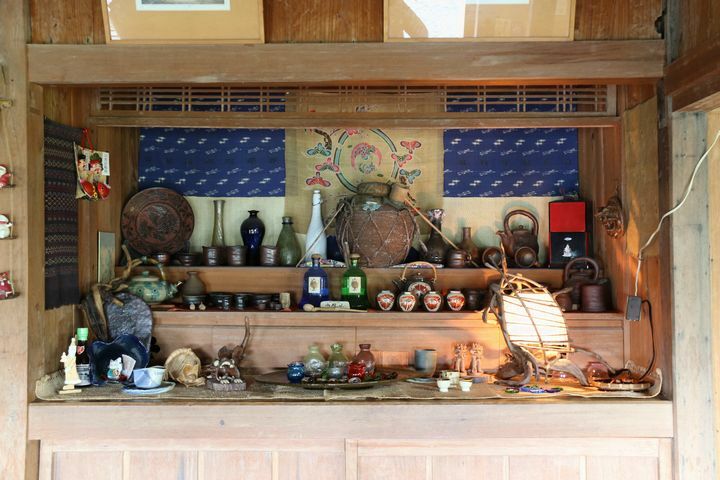 In the restaurant, there are some altars and a living room. You can stretch your legs and relax in the comfort and charm of the place. 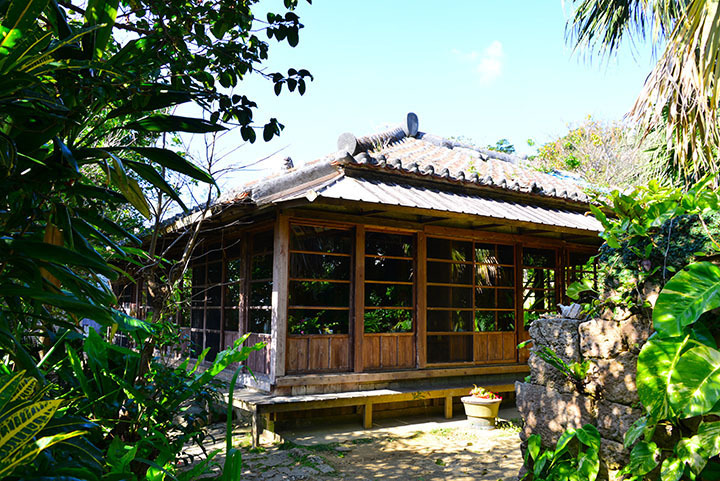 Udunyama make their own noodles in the traditional Okinawan way, by mixing the dough with wood ash. Even the ash they use for the noodles is homemade from wood they burn themselves. 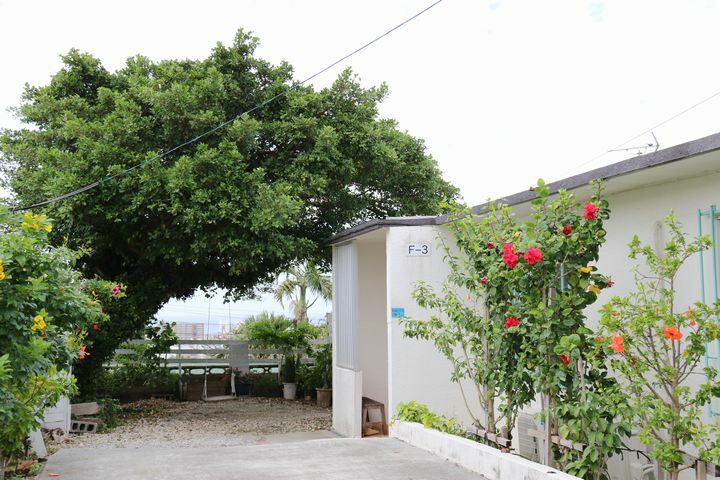 First, they dry banyan tree wood from the Yanbaru area (the north end of Okinawa Island) for one-to-two years. They burn the aged wood slowly over an entire day. The collected ash is then placed in water to soak for several weeks until the water turns a clear gold color. 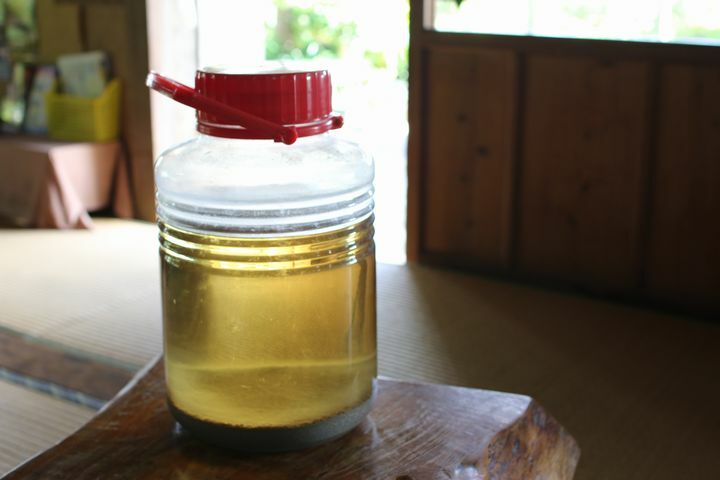 The water and ash mixture turns a golden color. 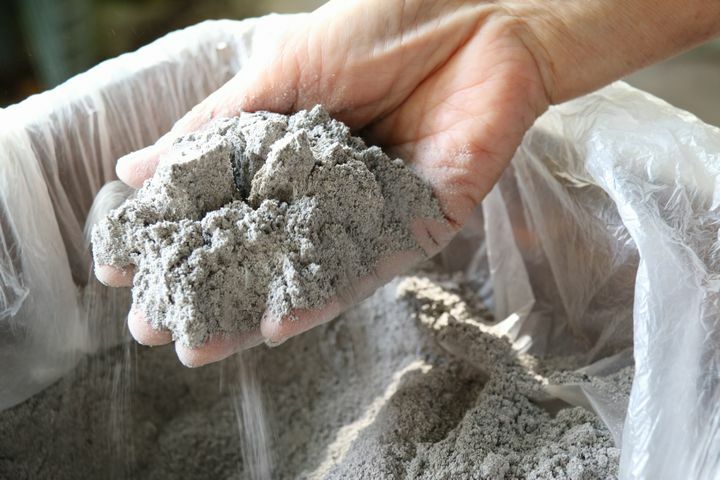 In addition, the consistency of the ash varies from batch to batch so they need to blend several types and adjust the flour mixture to make the best noodles. This type of adjustment is each time is vital. 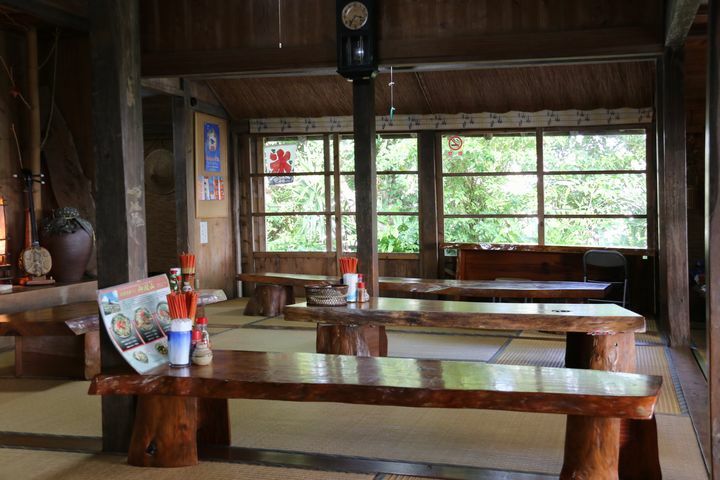 I was so surprised to learn there were so many steps leading to a good soba meal. 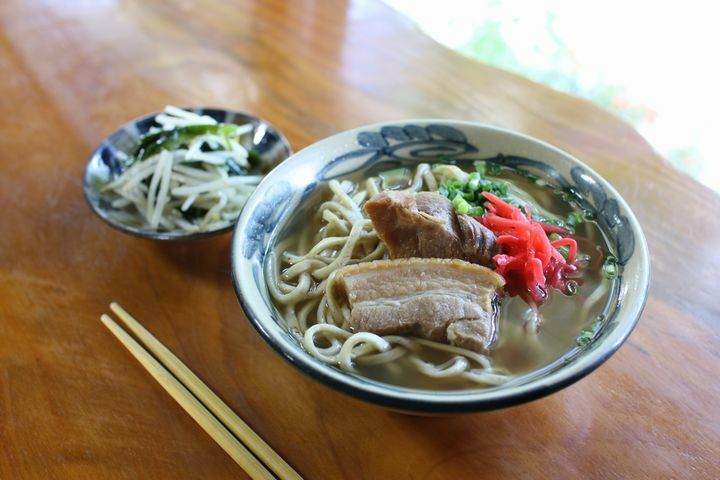 Okinawa soba, spareribs soba and vegetable soba are available. You can choose haiga noodles if you prefer. 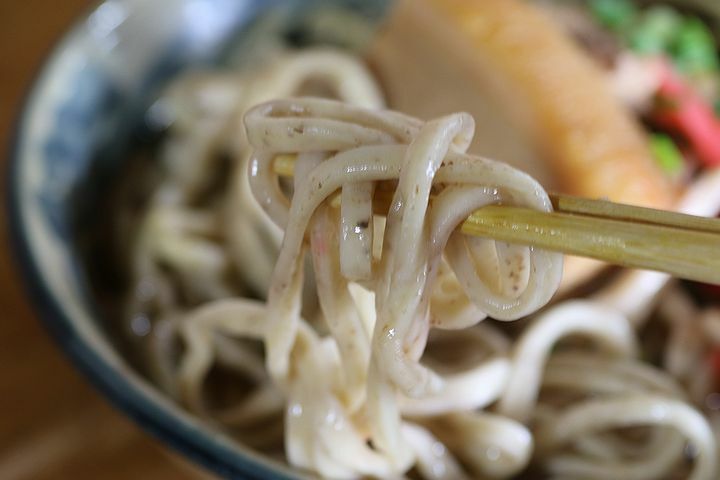 In haiga noodles the wheat germ is mixed in with the regular flour. 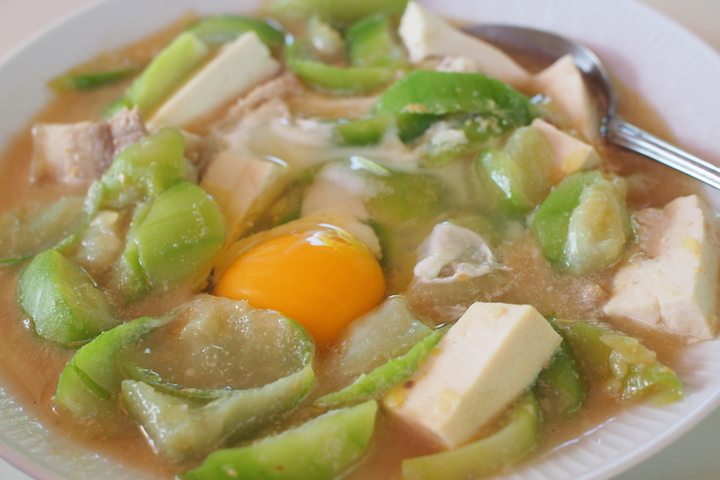 It is as popular as the regular noodles as they are easy to eat and more nutritious. 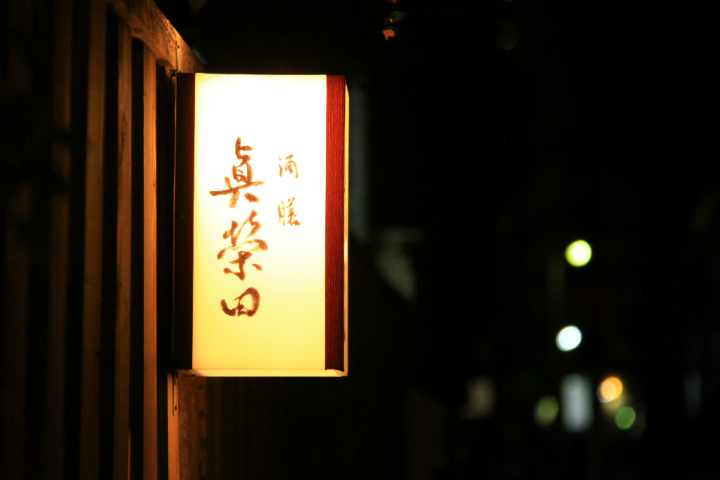 A choice of haiga noodles are available for all of the items on the menu. 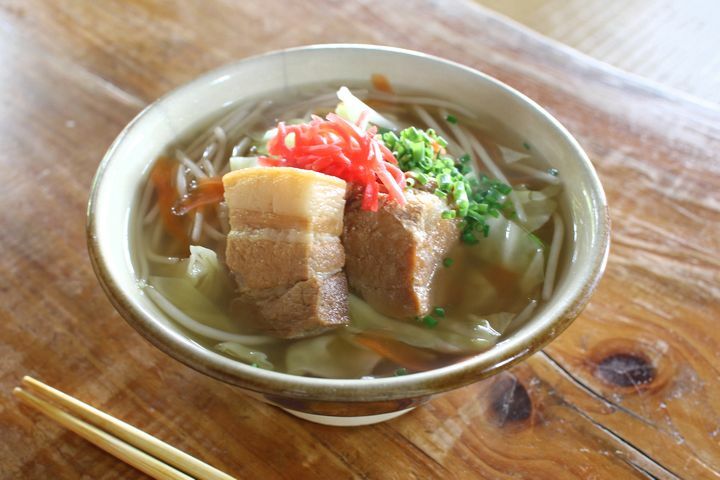 Soup stock is made from pork bones, onions and awamori (Okinawan sake), which is rested overnight. 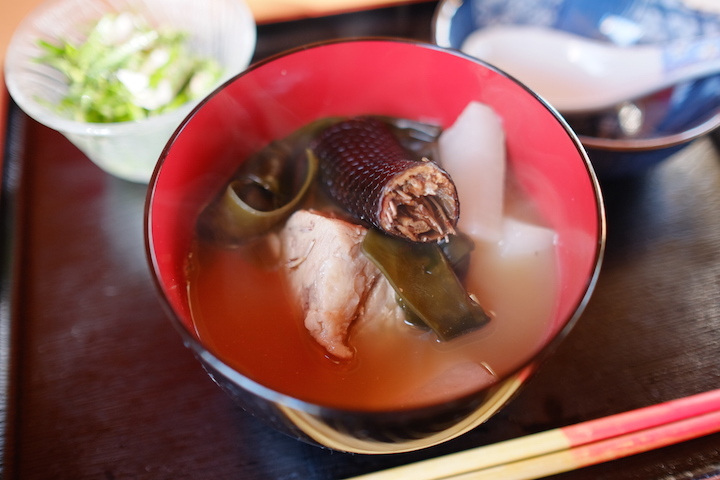 After removing surplus fat, fresh bonito and kelp are added to the stock, pork bellies are added to simmered and the soup comes to life. 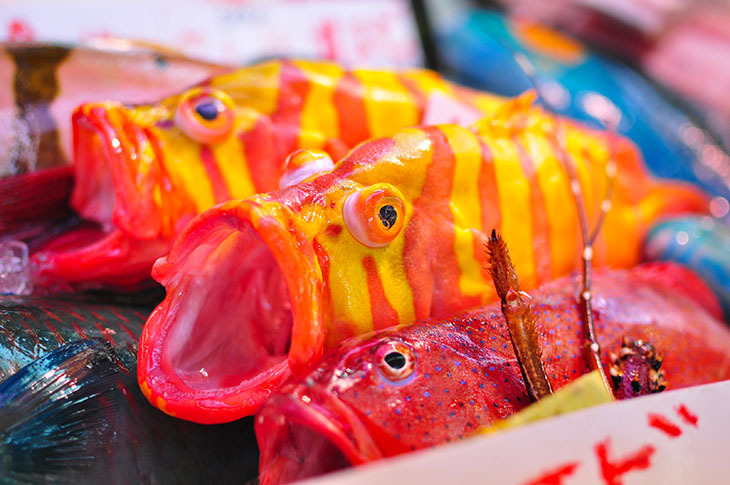 The bonito flavor spreading slowly in your mouth amid the dense flavor is truly enjoyable with no MSG. It is easy to finish the whole bowl. They strictly adhere to their own methods. 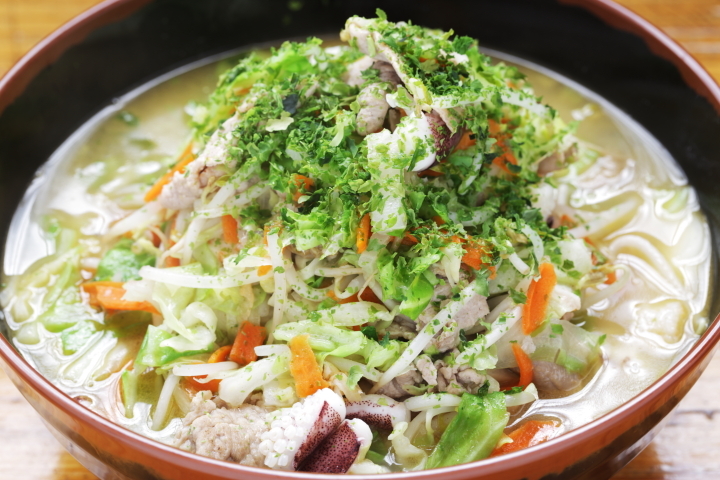 This is a healthy vegetable soba that is a popular item among women. Instead of stir-frying this dish is prepared by boiling the bean sprouts, cabbage and carrots for an enjoyable, crunchy texture. The meat comes out very tender and tasty after long time cooking and is not fatty as the extra fat is removed. It is great with vegetables. Shaved ice with beans and brown sugar is my recommendation after soba. 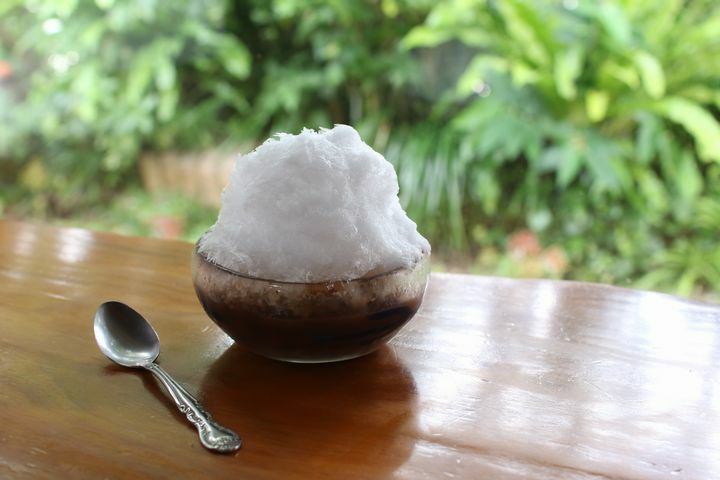 Kidney beans and red beans simmered with brown sugar are nestled under the fluffy shaved ice. Red beans are puréed for a smooth texture. Small square mochi (pounded glutinous rice) are also included for added flavor and texture to the dessert. Tables on the terrace are available. 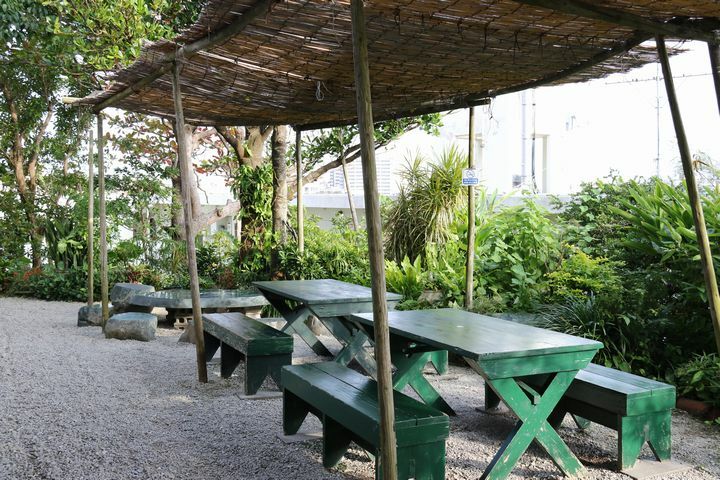 Here, the breeze and view of the lush green of the yard make you feel good. 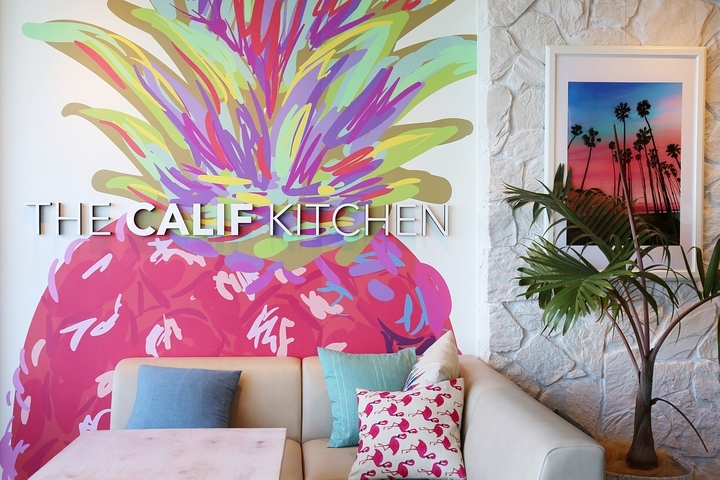 The staff are all family so they communicate well in the kitchen. That is one of the reasons they can provide such a comfortable ambience in the restaurant. 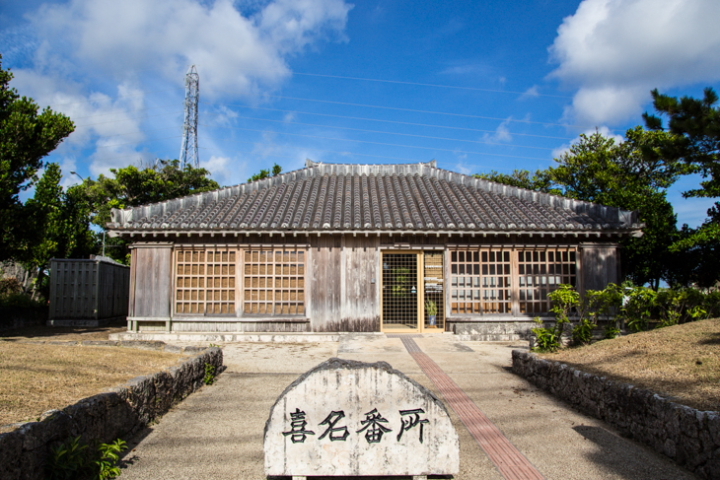 Here, at Udunyama, each heart-warming bowl served in this old house comes from people who are particular about preparing and serving traditional Okinawa soba. 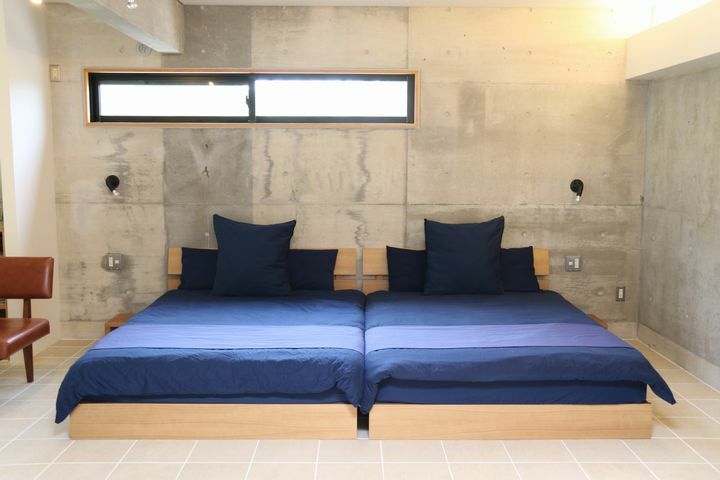 A Military Housing Turned Accommodation Facility, Kafuwa Ginowan is a Great Place to Stay with Family and Friends! Just a Little is Enough to Breathe Fire!! 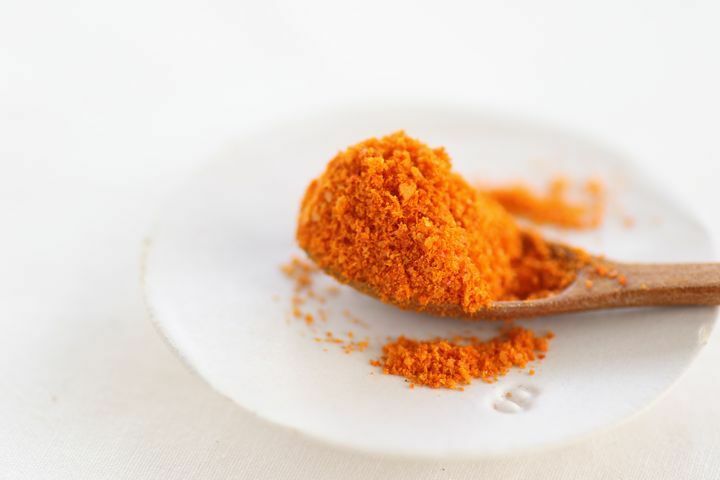 Yanbaru Hiri Hiri is a Great Gift of the Island’s Hot Chili Peppers for Hot Food Lovers. 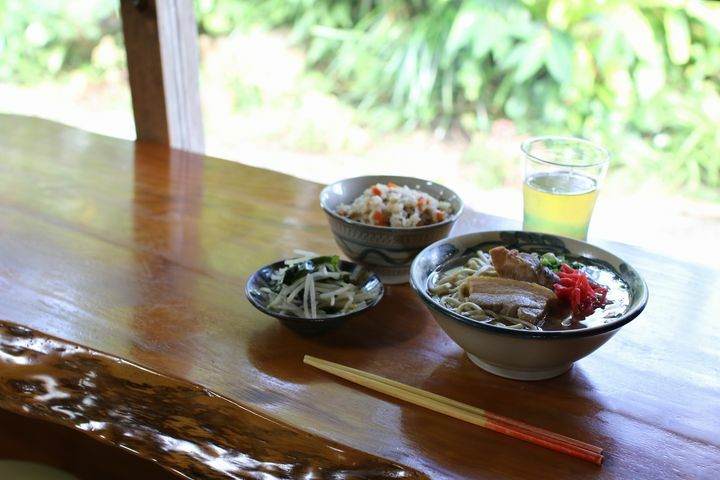 Try and Eat Okinawa Noodle (soba)!